I was honored to be a guest on Your Carolina this morning to talk about What Everyone Should Know About Money Before They Enter The Real World, the book I have written for high schoolers and 20-somethings – those young people who are just getting started out on their money journey. You can watch that appearance HERE. Copies of the book can be purchased HERE. 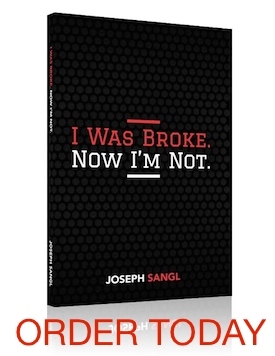 Joseph Sangl is the man! Great job. I hear Tom Cruise is not in trouble!! Seriously, praying for you tomorrow night at West Ridge Church in Dallas, GA. Unbelievable! When I watch that, I feel like I “catch” your enthusiasm. Great Job….